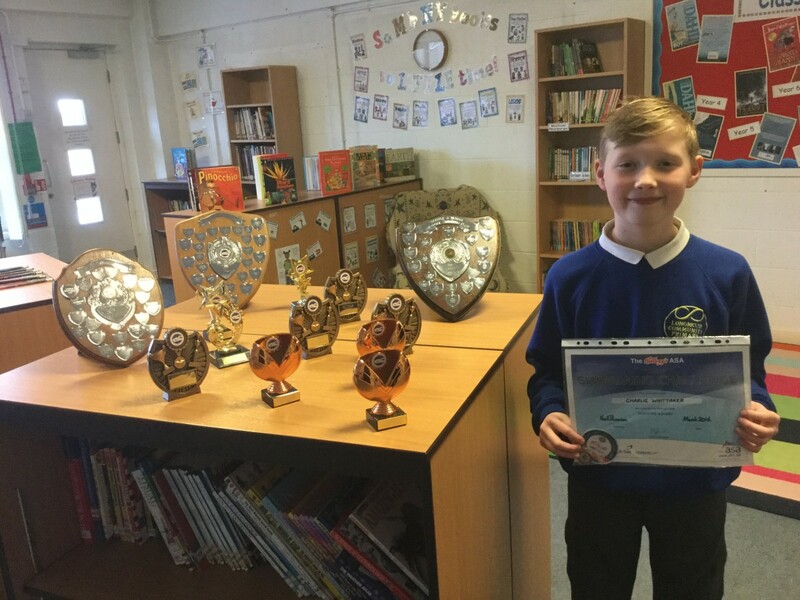 Year 6 pupil, Charlie Whittaker, has just attained one of the highest levels in the Amateur Swimming Association’s Learn to Swim Framework, the Kellogg’s Honours Challenge. He brought his certificate into school along with the 13 (yes, 13!) trophies he won at his club’s most recent championships. Charlie is a member of Bootle & North Liverpool Swimming Club, where our own Learning Support Officer and qualified swimming instructor Mrs. Hefferon coached for many years. Well done, Charlie. Your hard work and dedication has paid off! The school makes a considerable time and financial commitment to ensuring as many of our pupils as possible attain the government’s end of Year 6 target of being able to swim 25 metres, with a significant proportion of our PE premium funding going towards additional swimming lessons to further develop children’s skills and endurance.